Back on the market -buyers financing fell thru-Not your standard 2 story! Lots of room but no wasted space! All updated w/Open Custom Kitchen features decorative range hood and backsplash, granite ctrtops, island & desk area w/walk in pantry and breakfast area as well. All open to Great Rm w/ fireplace & adjacent Fam Rm/ sunroom. Hardwood floors on main & stairs w/ wrought iron railing lead to upper level. 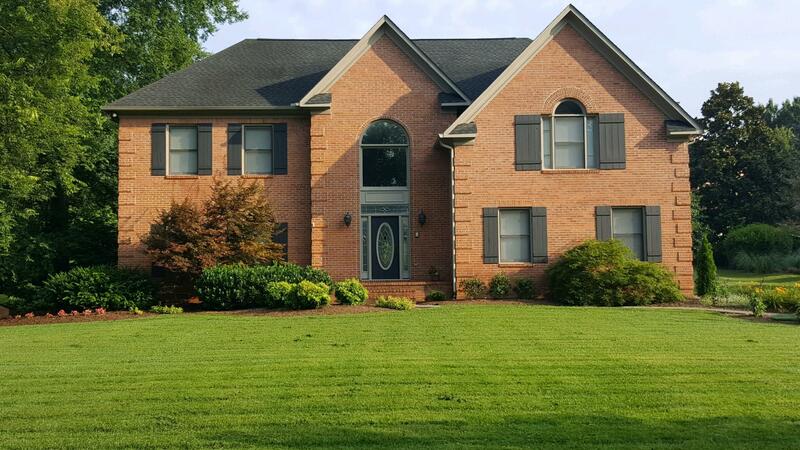 Impressive two story foyer w/paladium window and landing at top. Large rm off foyer make a great office or music rm. Each Bedroom has their own bathroom. Massive Mstr suite w/dual wic's. Ensuite has his/her vanities, whirlpool tub, sep shower. 3rd floor has been finished & offers large space for bonus rm or man cave. Walk-in storage as well.